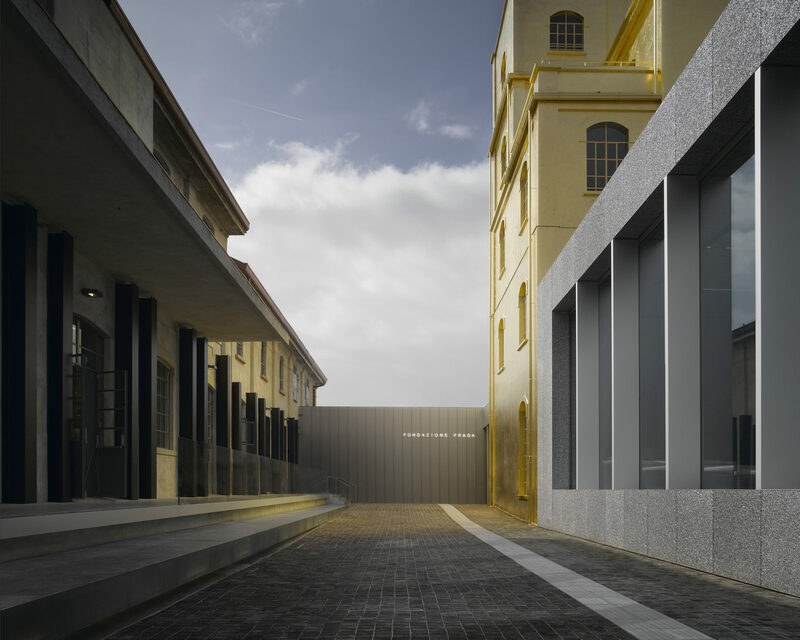 The new home for Fondazione Prada by OMA Rem Koolhaas was unveiled in Milan on May 9, 2015. Founded in 1993 by Miuccia Prada and Patrizio Bertelli, the Fondazione has long supported multi-disciplinary collaboration between the arts, architecture, and culture through myriad exhibitions, publications and events. The new 19,000 m2 complex with over 11,000 m2 of exhibition space, combined with the continued activity in Ca’ Corner della Regina in Venice, will mark a new era for the institution. We worked in close collaboration with Miuccia Prada and the Fondazione Prada team to develop a flexible brand identity platform that links the foundation’s diverse activities across locations and programs. Every visitor touchpoint has been rigorously considered: print communications, website, digital and physical signage, advertising, and all museum collateral from stationery to online ticketing. Architecture and signage in dialogue. Flexible design system suited to the the Foundation's diverse spaces and materials. Brand identity translated across platforms. Ongoing series of exhibition catalogues.